Islamabad (Pak Destiny) DawnNews today goofed up on the coverage of Nikah of Imran Khan and Reham Khan. In the begging it appeared that Dawn TV is making some kind of a joke. However, when it broadcast the news for a considerable time, audience like me started wondering whether it is acting like a goof or it did not want to disclose the name of Rreham who is currently associated with it (Dawn TV). However, later when someone asked the TV management to stop acting goof, then it started flashing it ” breaking news … DawnNews anchor Reham Khan has cleaned bowled Imran Khan. 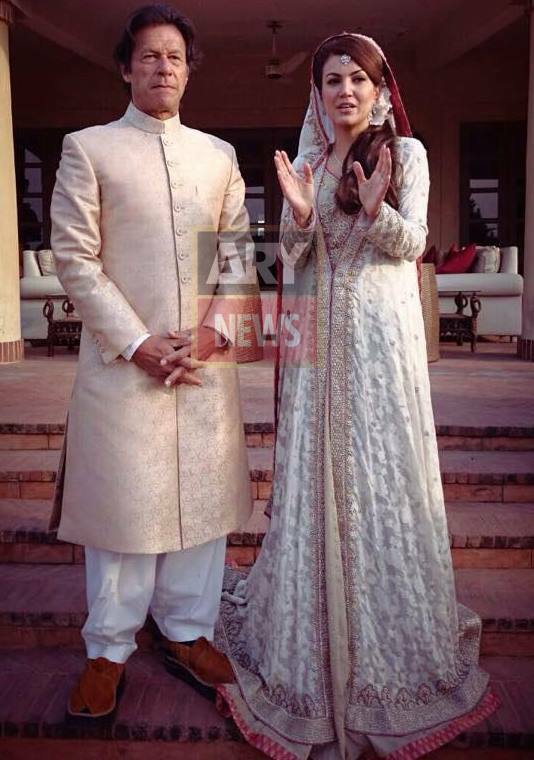 Imran is marrying Reham”. It appeared so foolish that one simply cannot stop laughing at Dawn TV’s silliest act ever before switching on to any other reasonable TV channel. “It was a class act of goof up… by Dawn TV”.